After the 8th release of our 'Goa Sessions' Series with 'Rocky Tilbor'. We are proud to bring you the ever anticipated 9th round! Nobody could do it better than Israel's world renowned producer's Nadav Bonen and Barak Argaman a.k.a. 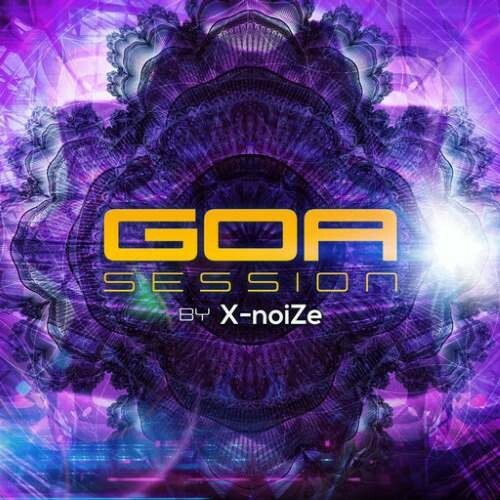 X-noiZe / Major 7. They ll endeavor to open up their magical musical treasure chest for us. Providing their undivided attention to present you with 2 CD s. An overview of their real taste and knowledge into our progressive trance scene. The result is a fantastic journey into our world of deep progressive and psychedelic trance. Included are their latest productions and collaboration works with Space Cat, Volcano, Headroom, Future Frequency, The Big Brother and Reality Test. As well tracks from well known producers like Iliuchina, Capital Monkey vs Burn In Noise, Seven Monkeys, Indianix, Basscannon, Planet 6, Oxygen, Iron Hide, Cosmic Flow. The result is over 140 minutes of a deep and epic journey into the Mind of two unique Artists. For us it is a real pleasure to present you with this outstanding 375th release on Y.S.E. Recordings.